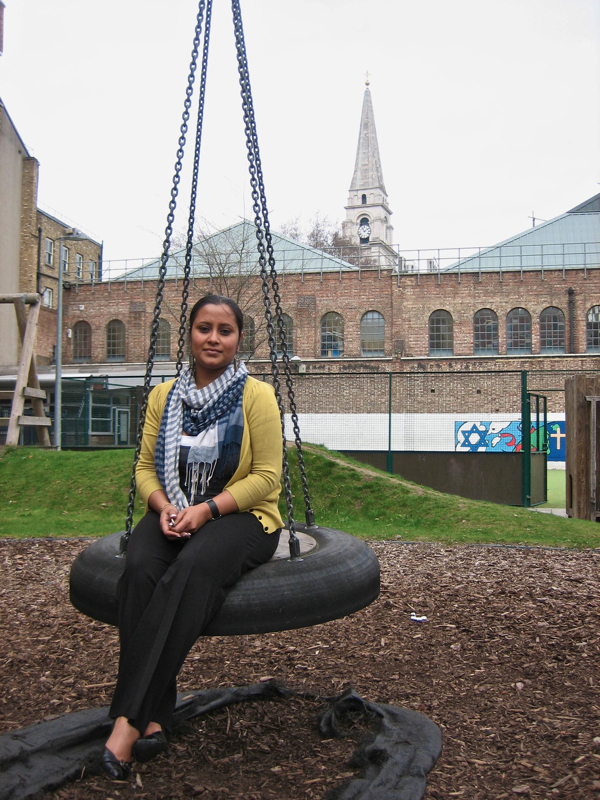 This poised young woman is Shajeda Akhter, a playworker at the Attlee Community Centre, in the shadow of Christ Church, Spitalfields. Although Shajeda may appear at peace now, she endured a long fight to win self possession as an independent woman and claim the freedom to make her own choices. Yet Shajeda’s struggle gave her both the motivation and the experience which enable her to support other young women facing similar pressures today – a responsibility that she has embraced with every particle of her being. 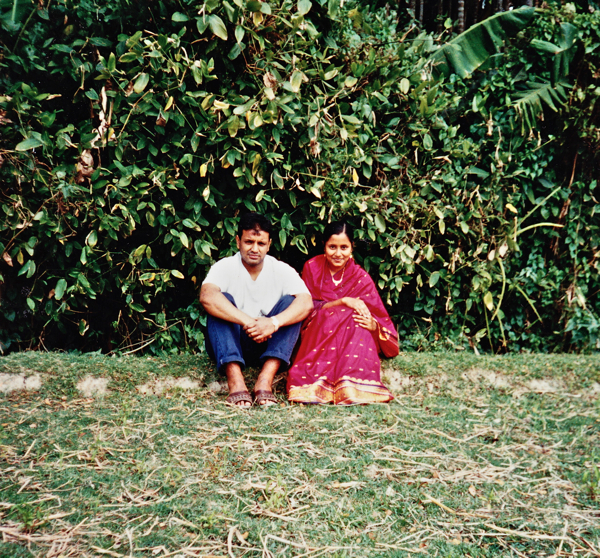 I came to this country in November 1995 after getting married to my husband Mujib. I was born and brought up in Debarai in Sylhet, Bangladesh – a lovely village with open fields where I was able to go out and play as a child. We were a very close family and everyone knew everyone, and I still take my kids back there. I came from a poor background and in my childhood I had freedom, but when I grew older I couldn’t go out to study as I wanted to do. Ever since I was very young, I saw how my mother went through pain and I didn’t want to go through that. I asked her, “Why don’t you speak up?” and she said, “It’s the tradition.” So I said to my mother, “But if he leaves you, you have nothing.” I realised that you cannot guarantee that your husband will support you. Both parties must be able to earn some money and have the respect they need. The tradition comes second, it has to be me first! My husband was my first cousin, born and brought up in London, and he went back on a holiday and met me and we fell in love, and he told his mum and dad that he wanted to marry me. And they didn’t approve, but he went ahead and married me anyway. My father also disapproved because he knew that I would have to come and live here – knowing that my husband’s side of the family would not accept me. I did not speak English and my husband could not read or write Bengali, but Mujib and I could understand each other, and he got Shiv Banerjee to compose his love letters to me. We had a secret wedding with a few friends at night in the pouring rain. My husband’s family asked him to move out when they learnt about it. In London, we had to stay with Shiv until my husband bought a flat in Backchurch Lane in 1996. It was a struggle, I was very lonely without friends and family, but Shiv and his wife Selina adopted me as a daughter and slowly I began to make some friends. On my second day here, Shiv said, “I will arrange for you to learn English,” but I did not like the classes and I wanted to earn my own money. So, instead of language school, I worked as a volunteer at a Community Centre in Finsbury Park for a year and my English improved quickly. Once my English was better, I searched for a job and got one in a jewellery factory in Kentish Town. But it was very difficult there and after six months I offered my services free to a travel agency, if they would pay my daily travel expenses. I did that for a year and a half before I was offered a paid job at an agency in Brick Lane. And I did that for another year until I became pregnant with my first child, working all through my pregnancy and planning to go back to work afterwards. I found myself very isolated at home, and I stayed in and cried until Selina came round and supported me taking me out for day trips. I thought my husband’s parents would come when our baby was born but they never visited the hospital. They would not accept me because of my independence and, on the third day, my husband took our daughter to show them, but I have never been allowed to go into their house. They came to this country over forty years ago, and although I do not blame them for their beliefs, I wish I had their support. My elder sister Majeda was due to give birth on the same day as me, in Bangladesh, but a week passed before I learnt she had died the day my daughter was born. Her inlaws did not seek medical attention because they did not want a doctor to examine her body – eventually my family took her to a hospital but then it was too late. Once I found out, a week later, I didn’t want to go back to work, I didn’t want to leave my daughter Shoma with anyone else. When I became pregnant with my second child, I joined a mother and toddler group at the Attlee Community Centre on Brick Lane. Tanya the manager watched me and asked if I had any experience working with children. She told me to put my name down as a volunteer. Later, when my son Imon was two years old, she asked if she could put my name forward. I told her I had no experience but she said she would train me. She gave me responsibility and the keys to the building. Eventually she said, “We’ll pay you part time as a sessional worker,” but I wouldn’t leave my son, so she said, “Bring your children as long as you can take responsibility for them.” I became qualified and I have been here for the past nine years. My work is about freedom, enabling young girls growing up to leave the house and be independent. I go and pick them up from their homes because they aren’t allowed to go out. I go and talk to the parents and persuade them to let their daughters go out, and they agree as long as I take them and bring them home. It was hard work at first, but slowly I have built it up from five girls in Backchurch Lane until now it is about fifteen or twenty girls. It is very important they see life beyond family life because the normal route would be not going out, not becoming Westernised. A lot of girls may still wear head scarves but they have learnt to say, “no.” One young girl, she’s going to university and her parents want her to have education but there is also pressure, so I am giving her the power to make her own decision, because she must decide what is for her own good, for her own future – and I will support her in whatever she decides. A lot of young girls are under pressure but slowly we will come out of it, I give them my number and tell them to call me whenever they need support. As I listened to Shajeda, speaking with balanced emotions and in professional fluent English, her moral courage became apparent - a woman caught between worlds, who has prevailed in the face of forces larger than herself through strength of character. With extraordinary independence of mind, she saw beyond the circumstances of her own upbringing and sought her own liberty. Neither complacent nor embittered, Shajeda Akhter has translated her own painful experiences into practical measures to help other women seek their own freedom, ensuring the individual steps that can bring about wider social change. It is a serious remit for one who goes by the deceptively light-weight job description of playworker. 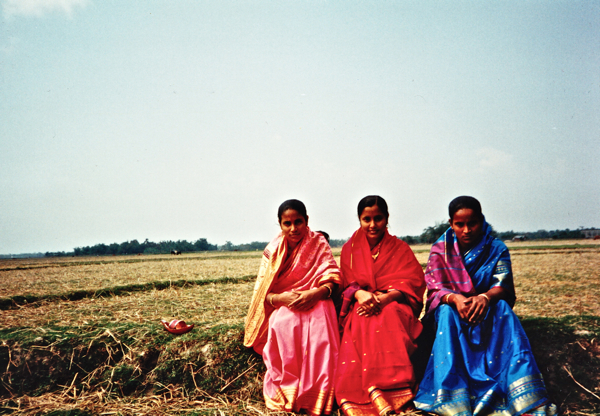 Three sisters in Debarai, Sylhet, Bangladesh in 1994, Majeda, Shajeda & Shafa. Shortly after the marriage in 1995. Together in Regent’s Park, Spring 1996. 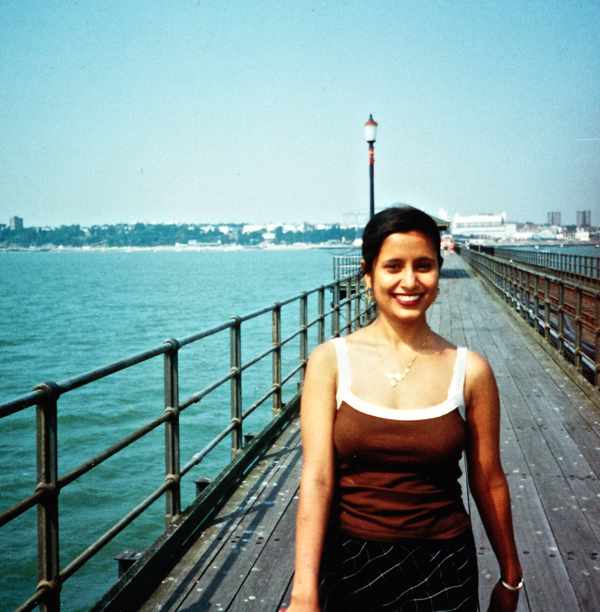 Shajeda at Southend, Summer 1996. Thank you for sharing Sajeda’s story, what an inspiring woman. What a marvellous story; and an important social and cultural commentary in only 1200 words (plus some lovely pictures). Maybe one day these superb vignettes will form part of a course in human understanding. Wow, what an amazing woman. The world could use more open-minded people like her-brave but not needlessly contrary to deep-rooted traditions. I also appreciate all she is doing for younger generations- thank goodness her talents are not wasted! Such a memorable story and photos, with great impact. Thank you and Shajeda for telling it together. What an impressive young woman, thank you for telling her story – and thank you Shajeda for helping other young women find some freedom too! What a wonderful woman. Thank you for sharing your story, Shajeda. And thank you Gentle Author. I love this blog. majeda in her pink sari, shajeda in her tank top. In my extended family and in her own family she is known as “Shefu”. We all love her dearly. I have known her in person from the day she arrived in this country. From the very first day I noticed an air of confidence in her, a look which said” I want to achieve the best for me and I will work hard”. In a few days time she said” I want to help the life of women in this country in particular the newly arrived Bangladesi women. During the past 12 years she has helped change so many womens life. She works hard and gives her best to everybody. She has the charm and the commitment to do the best for others. Attle Playground is lucky to have a person like her in their team. We all are very proud of her work and achievment. Wow Shajeda! I felt emotional reading this, I had tears in my eyes. It has been a pleasure reading your story, thank you for sharing it with me. I would like to take this opportunity and say Well done, you are a brave and a loving person. Truly amazing, and inspiring story. I hope a lot of women from the ethnic minority groups in particular, and immigrants generally can learn a bit from your story Shajeda; I am truly impressed with your determination and strenght of character. Well done Girl. Shajeda, I decided to look before I left work and i am sooo glad I did, it is, as people have already commented, a very inspirational story. I was taken aback by it and hope that many thousands of people, not just women get to read this. You are an inspiration to all. My lovely wife, well done for being in Spitalfields life. You are a angel to many people who you have helped. I see you as a shinning star for many people. You are strong and open-minded and very commited to what you do. I and the children are very proud of you and what you have achieved. 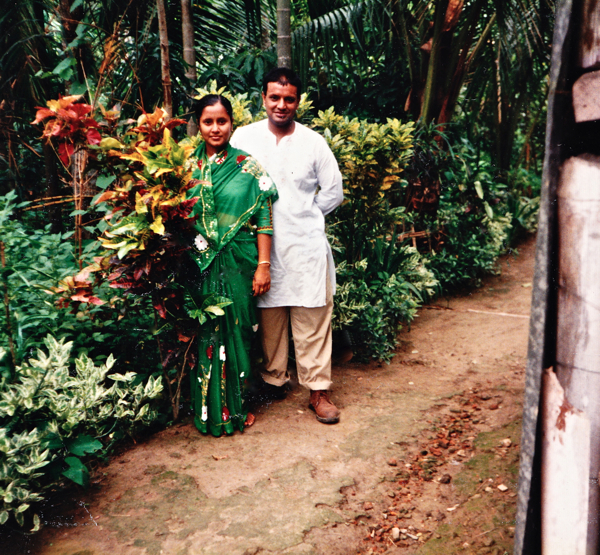 You are the foundation of the local Bangali community and the heart of the family. This is a fabulous story and the comment by Mujib just wonderful. What a couple! Aren’t we the lucky ones, to have you both here. the pictures are so nice you look pretty and i also saw your two big sisters and you weraing a sari. shajeda is my aunt.. i am the eldest child of his elder sister shafia.. i am so proud of her as she has been able to manage so far in the sector of woman’s freedom..
From my childhood, i also felt this.. the discrimination between boys & girls.. i found my mum had no freedom for making her own decision, own choices.. So it is very essential to come someone forward for raising his voice about that bad thing..
And we have got you at this character..
best of luck khala moni (aunt) we all love you very much, Always want u to enlighten us by your great motivation, valuable inspiration..
A truly moving and inspiring story. I met Shajeda about four five years ago. What a woman! I met her at a time I was feeling extremely let down and sad. She is a inspirational and confident woman that wants the best in everyone she meets. Me and my kids attend attlee because we have so much love and trust in her. She is a great team player and an even better lead playworker. She genuine loves and respects all parents and young children that attend.